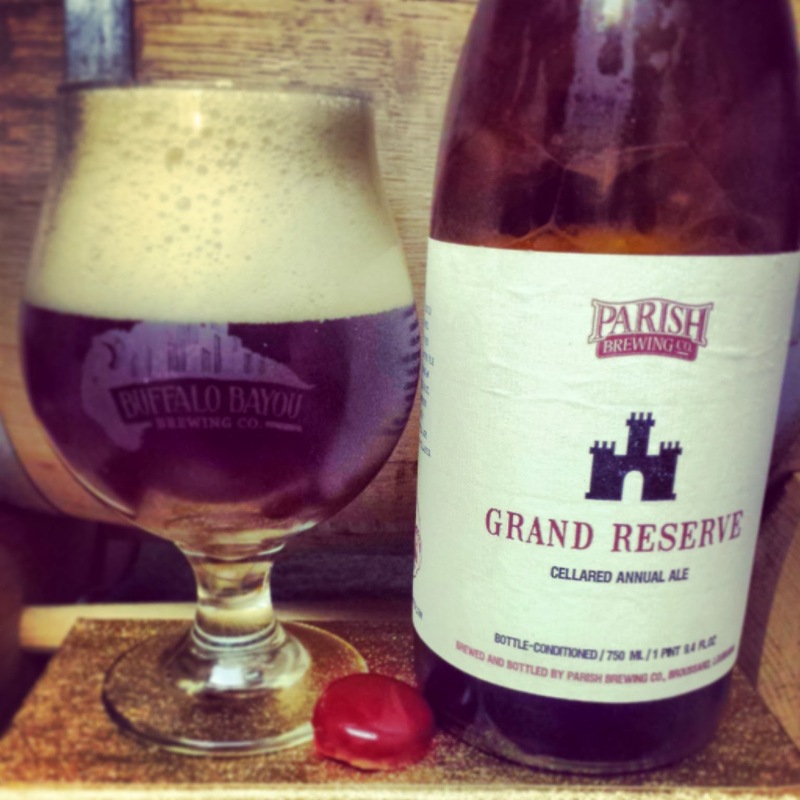 Every now and then writing about beer has its perks... one of them came up recently when I was given a bottle of Parish Brewing's 2013 Grand Reserve in advance of the December 14th release date. You can read all about the release party details in an earlier post... this one is about what you can expect when you get your hands on a bottle. And you should definitely try to get your hands on a few. It comes in a 750 ml bottle, with the same label as last year. On the right side there's a little area where vintage and bottle number is handwritten, so you'll never forget the vintage of the bottles you might decide to cellar. Just like last year they are topped off with some red wax, because have you ever had a bad beer that was dipped in wax? Don't answer that... I'm sure you have, I'm sure I have... I just can't think of any right now. The beer pours exactly how a big barleywine should... rich deep amber color with a large bubbly head. It settles down pretty quickly to finish out the pour, then it's time to get the nose in there. This beer is hoppy, hoppier than the 2012 release, but still has a massive rich malt backbone. There are definitely caramel malt notes and I expect them to come through even more on the tongue. Sure enough, the rich maltiness is even more present on the tongue but the hops are still powerful as well. It's a far hoppier barleywine than the 2012 release on the tongue as well. The alcohol content is present in the flavor but never overpowers the malt and hops. Each sip is packed with flavor and the flavors change as the beer warms up also, with the alcohol coming through a little stronger and the hops hitting a tad stronger than before. And the finish is ideal... a clean lingering blend of caramel and hop resin. I can't wait to grab a few more of these, I expect that they will only get better as they age! America's First Trappist Brewery Is Coming!